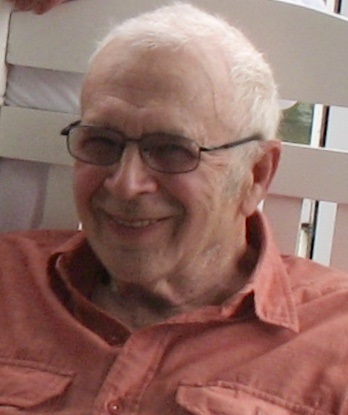 Obituary for Chester "Bill" Cunningham | Seamon-Wilsey Funeral Home, Inc.
SAUGERTIES……Chester W. “Bill” Cunningham, 85, of Saugerties died peacefully Tuesday, March 26, 2019 at home surrounded by family. Born March 10, 1934 in Milton, PA, he was the son of the late Chester and Anna Cunningham. Survivors include his wife of 66 years, Myra, daughters Lorraine Paris (Robert) of Wappingers Falls, NY, Brenda Schmadeke (James) of Holly Springs, NC, and son Brian of Wallkill, NY. A brother, Charles (Joan) Cunningham of Poughkeepsie, 7 grandchildren, 2 great grandchildren and numerous nieces and nephews also survive. Chester was known as Bill in his youth, the name by which he is still known with family from Pennsylvania. He and his brother Charlie were active boys growing up, sometimes trying their mother's patience with their shenanigans, creativity, swimming in the nearby river, climbing bridge abutments and plinking with their BB guns. Bill and Myra were high school sweethearts, marrying in 1952 in their hometown in Pennsylvania. Encouraged by brother Charlie who moved to New York for opportunities at IBM, Bill also pulled up his Pennsylvania roots heading to NY. He and Myra settled their family in Wappingers Falls where he pursued a long successful career as an IBM mechanical engineer designing tools for systems test. Chet was an avid outdoorsman, hunter, archer and skilled marksman. He enjoyed competing in leagues, winning awards as well as holding range officer positions. Family remembers him shooting pennies or bees out of the air. His natural talents included mechanics and his expertise was often sought. The family has fond memories of the many vehicles he owned over the years, always maintaining and fixing them himself. Family and friends knew Chet for his creativity and a well deserved reputation for being able to fix anything. His motto was “Use it up, Wear it out, Make it do, or Do without” - he could always find a solution for a problem. He was a loyal husband, father, grandfather, great-grandfather, brother and friend. Many were recipients of his mischievous practical jokes over the years. Chet had a quick wit, wonderful sense of humor and could always be counted on to lend a helping hand. When Chet and Myra purchased their current Saugerties home, an old farm house, he personally renovated the house and barn with his many skills. His vision for the homestead was a place where yet-to-come grandchildren could explore and play, a vision that was realized over the years with the births of their grandchildren, and later great-grandchildren, who all enjoy the outdoors at Nana and Papa’s. Chet was a unique man, admired and respected, who marched to the beat of his own drum. He was perfectly content in his barn puttering or building, having family around, a faithful dog at his side while sitting on the porch swing, and enjoying a leisurely motorcycle ride with Myra. In later years he rode a Harley Davidson, taking motorcycle rides with his son to seek winding country roads to enjoy. His Funeral Service will be held privately. Arrangements are under the direction of the Seamon-Wilsey Funeral Home, Inc. The family invites all of you to share expressions of condolence and any remembrances you have of Chester at Chet “Bill”@SeamonWilseyFuneralHome. Donations in memory of Chester can be made to The Michael J. Fox Foundation for Parkinson’s Research or Hudson Valley Hospice.